It has already been clear for a long time that Xavi Sabate and Telekom Veszprém would part ways after the end of season. Ljubomir Vranjes will arrive to Veszprém to take over the Hungarian superstar team. 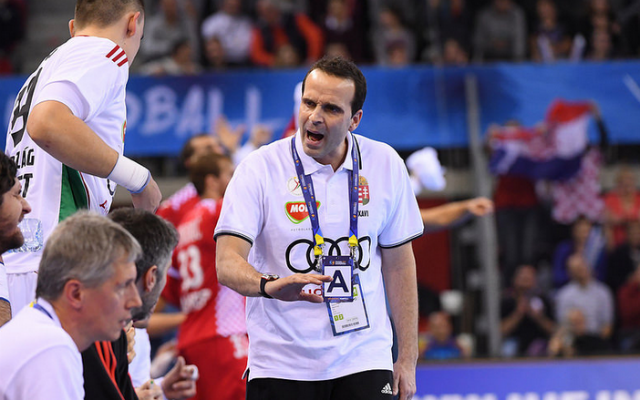 He is not only the successor of Sabate on the bench of Veszprém: he will also take control of the Hungarian national team. 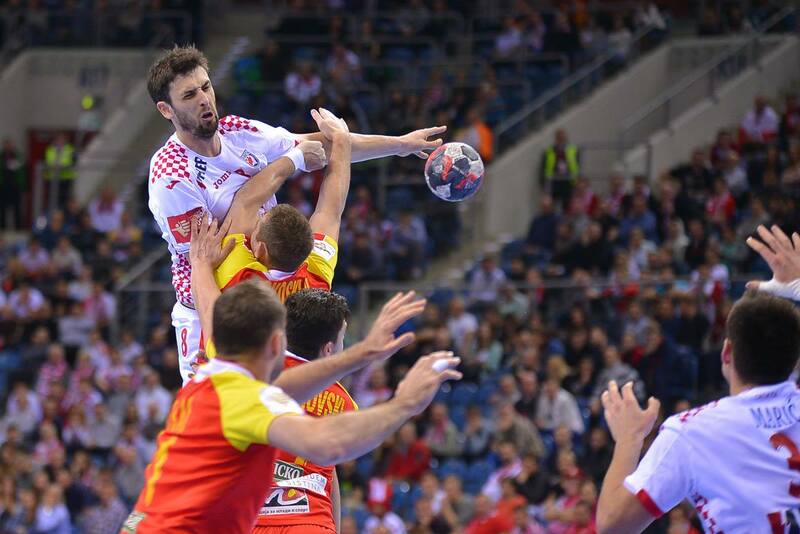 The Spanish coach has still two matches left with the Hungarian national team before he leaves: this week, they will play the last two rounds of the EHF EURO 2018 qualification. 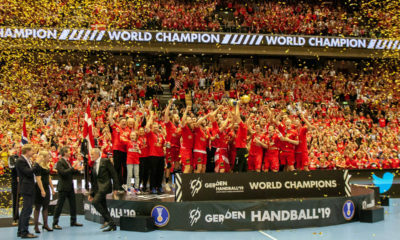 The Hungarian handball website hetmeteres.com published Péter Kiss’ (handnews.fr) very interesting interview with Veszprém’s and Hungary’s leaving head coach. In the following, you can read the interview in English without a change. The team has a cruel season behind them and they showed their best in the FINAL4 of the Champions League. Do you agree? For me, the most important is now we finish the season and not how we start it: we have to fight for the trophies in the last two months. We built up the season this way, to be 100% for the most important part of the season. I already told the management before the season that we would lose some games because we had to play a lot of matches, we wouldn’t have time to recover and we would also need to calculate with the injuries. My plan was to play as much as possible before Christmas. When the players came back tired after the world championship, we had a period when we didn’t have to travel a lot, we had more time to prepare and recover. The players were the same, still the team was completely different. I knew that after Christmas, when we have to fight for the trophies, our game was going to be better and the results would come. The FINAL4 came in the end of a very tough season, still in the best moment for us: we played well there. In Veszprém, the Champions League-victory is an expectation. Do you think it is realistic? There is no coach in the world that can guarantee winning the Champions League. Just look at the FINAL4 this year: three out of four matches were decided only by one goal. Let’s go back to 2015 when Carlos Ortega was fired and you were promoted to head coach. Many people were surprised by the decision. Were you among them? Ortega is a great coach, parting ways with him was a decision that nobody understood. When I was named as the head coach, I only had a temprary contract until the end of 2015. However, the management didn’t find a new coach and we kept winning matches and bringing good results, so they wanted me to stay. They offered me a contract until the end of the season 2016/17 that I accepted. It was a tough decision but I had Gábor Kálomista and the whole team by my side. For me, the trust of the players is the most important, so this was the key in my decision. Did you feel the trust from the management at this point? In the past two seasons, we reached all of our goals that were set for us from the club. I worked 24 hours a day many times, and I am very satisfied with our results. But it is not possible for a coach to make everybody satisfied, neither Pep Guardiola nor José Mourinho can do that. There were people who didn’t trust in me in the club, but as I said, for me, the trust of the players is the most important. I think I have proven these people wrong. In March 2016, you were appointed to the head coach of the Hungarian national team. At this point, you were still coaching Veszprém as a coach in his first year. Didn’t you think it would be too much to take control of the national team as well? I love handball, but I don’t accept any job if I think I can’t give 100%. When I said yes, my contract was only valid for two matches, for the world championship qualification matches against Serbia. I felt really well, the players were by my side, the results were good and this position didn’t influence my job in Veszprém. The management offered me a new contract and everything happened so fast… I wanted to lead a national team besides working at a club, but I didn’t think this would come so soon. But this is sport. Pep Guardiola was leading a team in the third division in his first year, then a year later, he won the Champions League. José Mourinho was an interpreter at Barcelona, Juan Carlos Pastor was Manolo Cadenas’ assistant coach. This is sport. 29 May 2016, the day of the Champions League final against Kielce, still as a first-season coach. After the lost final, many people blamed you and there were people that wanted you to leave. Looking back, what would you have done differently? I have always taken responsibility and that time wasn’t any different. Everyone was shocked by the defeat. In the 46th minute, we had a 9-goal lead, if you asked anyone at that point, everybody would have wanted me to stay and get a new contract. We lost, but after the defeat, I am still the same coach and the same person as before the 46th minute. 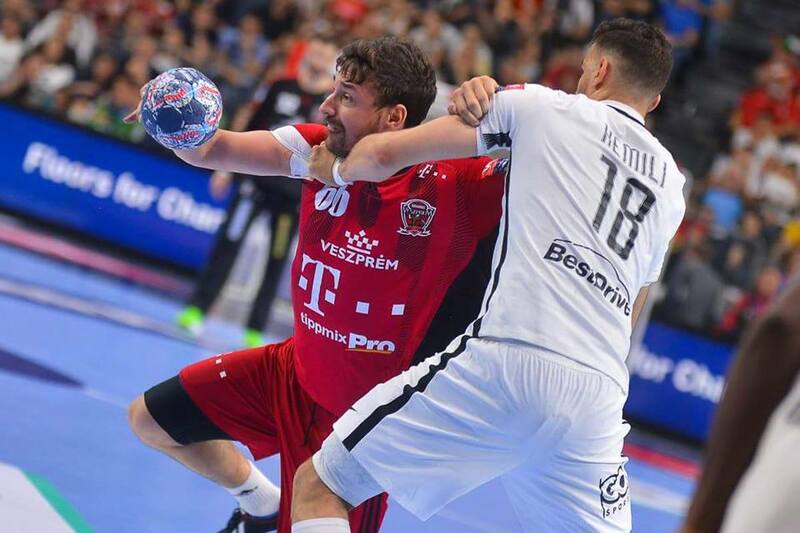 In handball, often only 1 goal decides if you go to heaven or hell. I have watched and the match over and over again, analyzed every single second. I agree with Máté Lékai, we didn’t have physical problems. I remember a chance that was saved by Szmal. Before that, he hardly caught a ball, but after that save, he was fantastic in the last 15 minutes. If we could have scored one more goal, we would have been the winners. We had mental problems, not physical. Talant didn’t say anything to his players besides asking them to fight, he didn’t make any special tactics. We were mentally blocked, missed clear chances and they started to believe in the victory. Sabate says there was no magic from Talant Dujshebaev in the memorable CL-final between Veszprém and Kielce. After the matches, I usually make thoughts what could I do differently or what kind of mistakes I made. I think I could have sent Chema on court. Many people think he is my favourite player, but in this match, he didn’t spend a single minute on court. With him, maybe we would have been better. In this game, Lékai and Palmarsson got more chances, and their development is spectacular. Máté became a fantastic player, and Aron is a much better team player than when he arrived from Kiel, he improved in defense. I think without a doubt he is the best player of the world right now. I believe in projects, not in quick results. If you trust a coach, you have to let him work. If you are satisfied with a coach, then you are satisfied with the results. If you are not, then you are not with the results either. Despite the defeat against Kielce, we can say that you reached the goals in your first year. However, the management started to look for a new coach quickly. How did you deal with that? I think if you want to be a head coach at a team like Veszprém, you have to cope with pressure. At a winning team like Veszprém, you need to win. It is important to mention that I can deal with this pressure without any problems. Before the toughest season of the club’s history, I sat down to talk with the management on 15 June 2016 and told them that the championship, SEHA League and Champions League will be very demanding. I told them it is impossible to be on the top in so many competitions at the same time. I knew we would have weaker matches, weaker results if we start a demanding season like this. Veszprém isn’t alone on the court, we have great opponents led by great coaches that are playing really well. I knew that the fans would take the weaker performance very hard, but the management said they have the methods to communicate these towards the fans. It was clear that a part of the fans wouldn’t understand this because Veszprém is a winning team, one of the biggest clubs. At that point, I started to think that I wouldn’t hae a stay at the club. In June 2016, I already felt that after the season, Veszprém would have a new coach. In this tough period, I tried to reach our goals, but it was very hard because I didn’t choose the team, the players, I couldn’t sign players I wanted. Aside from a few exceptions, I didn’t have a word in the transfers, this was the task of our sports director, Nikola Eklemovic. He was telling me the list of arrivals as a fact. I think I wasn’t respected as a professional and they didn’t respect my contract. According to my contract, I am the one to make decisions, I should say who the club needed to sign, considering the budget of course. Nobody knows better than me who this team would need because I am the head coach. So before the toughest season of the club’s history, my job became more and more difficult. The sports director didn’t talk to me neither when he signed players without asking me, nor when some players left the club. There were times when I only knew from Facebook that someone left the club. Scrolling through Facebook, I read the article that I can’t count on Füzi and Aflitulin any more. I tried to work this way, to perform well in every competition, adding many 18-19-year-old players. At this point, I have to say that I am very proud of them. They proved themselves in the Hungarian league and many of them stay in the first division as well. But it was very tough this way. The one that trusted me and believed in my work was Gábor Kálomista. I will be thankful for his support all my life. When everyone wanted me to leave and a lot of people put pressure on him, he didn’t leave my side. Time proved him right because we reached our goals. But it is also important that despite the many difficulties, I am very thankful to the club. I had a great time here and I improved a lot. During the last season, you received a lot of criticism. 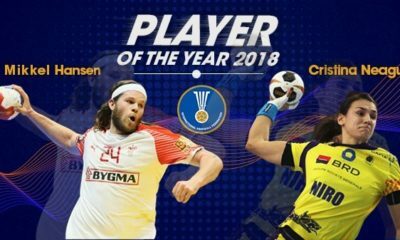 One of them was a for many people incomprehensable decision: leaving Marko Kopljar and Gábor Ancsin and leaving László Nagy alone on his position in the big matches. Was there any conflict as a reason for this? At this point, I would like to say that since I have been in Veszprém, I didn’t have any personal problem with any of the players. It is important to tell directly to the players if I have to say something. Ancsin and Kopljar have spent a lot of time on the court before Christmas, they had time to prove themselves. But as I said, Veszprém is a winning team, we have to win. I am very happy to have worked with Ancsin, he is a good player and a great person that I like a lot. Maybe I made a mistake not giving them more playing time, I didn’t know how to bring the best out of him. He is a person that performs 100% all the time, also in trainings. I can only say good things about him. Kopljar is one of the players that I got but I didn’t ask for. I think he is a good player but he doesn’t fit in our system. Our game requires different players than him. For example, I think our defense is the best in the world. Aggressiveness, mobility, self-devotion: these are the characteristics for our team. Kopljar is not like that. I tried to find his place in the team until Christmas, but when the real season started after the holidays and we started the real race for the trophies, a player that doesn’t give 100%, those character doesn’t fit in the team, can’t have a place in the team. If you want to win trophies, you have to perform your best on trainings as well. I told Kopljar that if he can’t do that, he won’t play. 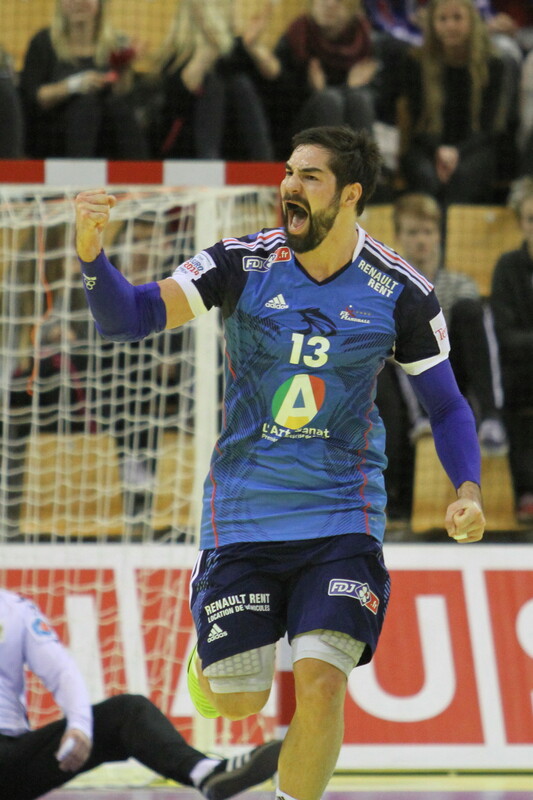 Kopljar is a player that arrived to Veszprém hardly playing in the last two years. I don’t know why we signed him. I remember it was written in Nemzeti Sport that Veszprém is building “one of the best right sides in the world”. This was only an illusion for the fans, it had noting to do with reality. One year before your leaving they made you feel that you wouldn’t stay in Veszprém any longer. Was it hard to work knowing that they don’t trust you? It was no problem for me. It was important that the players believed in me. But why did you have to leave, and why was it decided independent from the results of the season? As I said, Veszprém is a big and winning team. I knew last summer that in this difficult season, we would lose sometimes. However, it is not possible in a winning team. I know Veszprém very well and I think we have done a great job in the past two years, but at teams like Veszprém or Barcelona, these defeats can’t be accepted. If you win by one goal, you are not good enough either. These big teams need to win by 10 sometimes. When I told the management that we would lose some games because of the overload, it was clear that I wouldn’t have a stay here. There are some counter examples as well. Kiel or Flensburg, for example. Different country, different mentality, different ideas. Every country has its own culture. I think this is wonderful and it makes us richer. We know the reason why you left Veszprém. But why do you have to leave the national team? You reached the goals set. The task of the management is to secure the future of the national team. They thought the best choice would be a new coach in the future. I accept that and I have to thank Máté Kocsis for the trust, I am very thankful to him. Basically, I arrived to the national team just for two games but I stayed after those games. I am a coach, not working in the management. I try to do my best in my job, and I think I can be satisfied because I reached the goals in Veszprém and with the national team too. I have also heard about these gossips, but these news about Ferencváros are not true. I have more offers about my future, but I haven’t made any decision yet. I am ready for the next challenge.